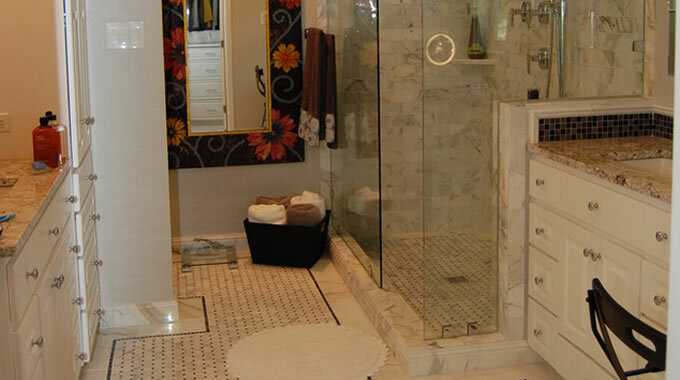 Bathtub to Shower Conversions in Seguin, Texas. Converting your bathtub into a shower is an affordable home remodeling project that can make a big impact in the appearance of your bathroom. Lonestar Home Solutions has over 15 years experience converting Texas bathtubs into showers and we have a variety of solutions available to homeowners. Typically your tub-to-shower conversion can be completed in two days, sometimes more depending on how much work you’ll have us do. For example, if you wanted us to do some custom tile work around your new shower then it might take us a little longer to do a quality job for you. Because tub-to-shower conversions are a home remodeling project that is in a moisture rich environment it’s important that precautions are taken to prevent any moisture, mold or mildew issues from arising with your bathroom in the future. With over 15 years of experience converting bathtubs into functional showers you’ll be in good hands! Your bathroom remodeling project is important to you, and it’s important whoever you choose pay careful attention to detail especially in a room where so much moisture is present. Lonestar Home Solutions has plenty of experience remodeling bathrooms and we’d love to have the opportunity to transform your bathroom into the one you’ve seen in a magazine, or at a friends house, or maybe you have your own plans. We can help them become reality!